Are you looking to change your motorcycle oil? 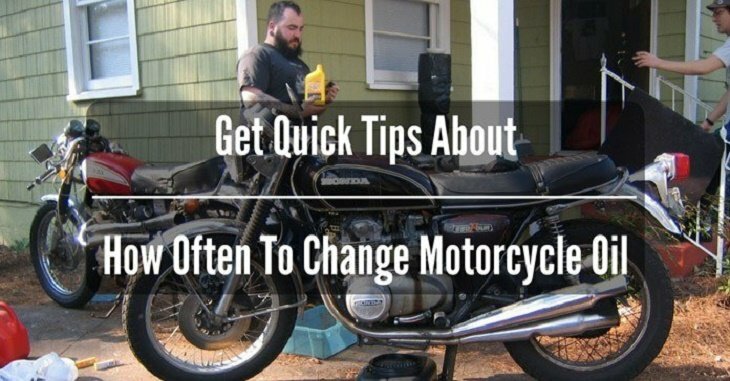 You can always make that change when you get to know more about how often to change motorcycle oil. Owning a motorcycle needs that you take the time to learn more about the different things that make it run smoothly. We get to look at how the oil affects the running of your motorcycle. Having the right oil in the engine is important to ensure that the motorcycle gets to lubricate efficiently and keep the bike running smoothly. At some point, you may have to change the oil. It is when the question of how often to change motorcycle comes up. Without the right knowledge about the oil, then you might end up having issues as to when it is the right time to change the oil. On average, the oil is supposed to be changed after every 3700 miles for the conventional oil or 5000 miles for the synthetic oil. Sometimes you can have leaks or dirty engine; this will cause you to top up or change engine oil more sooner than expected. The synthetic oil has been around for a long time, but it is until recently that people have started to use it in large quantities. The work of this oil is to deliver consistency that the conventional oil cannot deliver. It can work great even under the high pressures and heat. The synthetic oil can also offer better lubrication in general. The synthetic oil will always have a longer life as compared to the conventional oil. They can go up to 5000 miles before you can change the oil. Expect such oil to be expensive too. 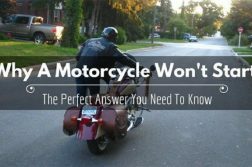 Now that you know the different types of oil for your motorcycle and how often to change motorcycle oil, it is also important if you learn more about the actual process of how to change motorcycle oil. The first thing you have to do is setup your motorcycle in the garage or on a flat surface. Make sure it is put on the center-stand for easy accessibility. You can use the side stand if you do not have the center-stand. Place the plastic container or pan under the drain plug to catch the old oil when you are removing it. Using the right tool or wrench, simply open the drain plug to let the oil out of the engine. As the oil is draining onto the pan, you can start taking off the oil filter too. The oil filter should always be changed when changing the oil. Remove the filter carefully not to cause damage that might leave debris in the engine. Now that all the oil has drained from the engine, you can now install the drain plug in its position ready for filling up the engine with fresh oil. You also have to install the oil filter into its position to avoid any leaks when filling the new oil. In case the drain plug needs a new washer, make sure it is replaced. The old washer would make the motorcycle leak oil over time. Before fitting the oil filter, you can fill it a bit with the new oil and swirl it around. This should make the filter to have the oil already to make filtering even easier. Open the cap for filling the oil and start the process. You are supposed to add the oil until it gets to the full mark. Some people would go past the full mark, but it is not necessary for the engine. Once the oil has been topped off, close the cap and wipe any spills on the motorcycle to leave it clean. Make sure that you get to dispose of the used oil as recommended. You do not want to end up polluting the environment. By now, you should know more about how often to change motorcycle oil so that the motorcycle remains in great condition. The oil is the most important lubricant your motorcycle will ever need to keep on running smoothly, so ensure it is checked regularly. If the oil is below the recommended level, you can always add more to keep it at the full level.